It’s 12:45 on a Tuesday afternoon in the Café; the lunch rush is in full swing. A band plays live music while a steady stream of students file through the doors. 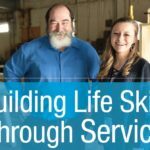 Kristy Norton is a whirlwind of activity. She greets every student by name. She puts one bowl of noodles in the pot and immediately starts prepping another, wiping up any misplaced food as she goes. The first bowl is done; she serves the pasta on a student’s plate. On to the next student. This is an average day for Norton. 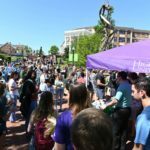 She works in the Café on High Point University’s campus and manages a station that offers pasta, burritos and stir fry on a rotating basis. She sees these students every day. 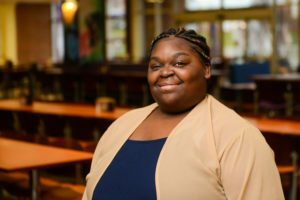 She’s one of many caring faces who lets students know that here on the HPU campus, they’re home. 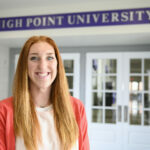 Norton joined HPU in 2008, but the High Point native knew about the university well before then. 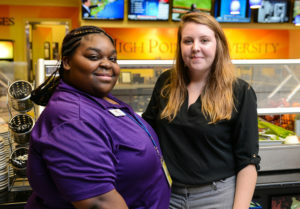 Working at HPU is a family affair; Norton’s grandmother Geraldine worked with the Campus Enhancement team; her sister Sharida runs the sandwich station; and her mom “Miss Cathy” brings joy to students who visit the Silver Line Diner in North College Village. She’s on a first-name basis with many students who frequent the Café. 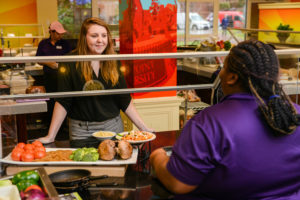 It’s Norton’s dedication to service that helps rank HPU Dining among the best in the country. 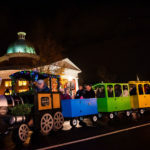 But it’s also part of what makes HPU an institution focused on values-based living and holistic education. From the classroom to the dining halls, to residence halls and all across campus, HPU weaves students into its family. Norton says her favorite thing about her job is getting to see the students every day. But Norton feels her job is not just about food; it’s about ensuring students are cared for each day. 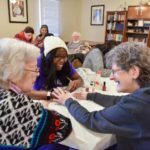 When Winter Storm Jonas left the entire eastern seaboard crippled under feet of snow in January, Norton and her team across campus reported to work. 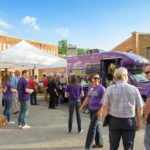 They were there for students in a time of need. 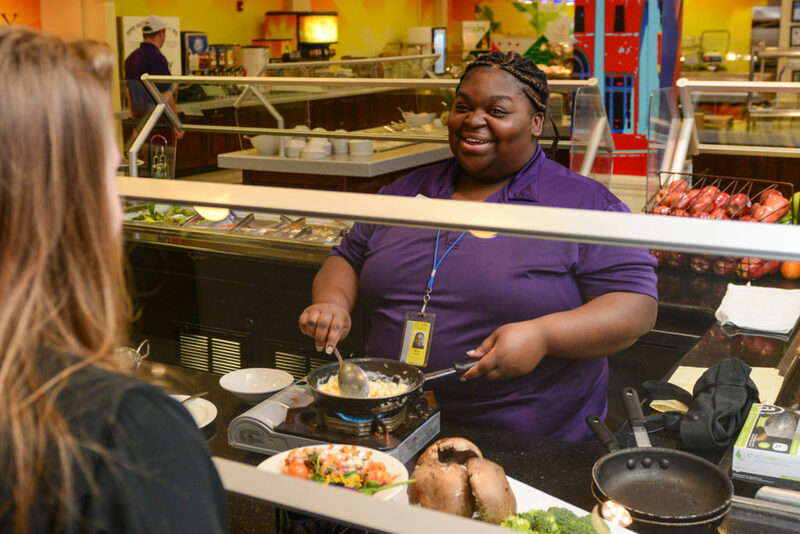 To Norton, her job at the pasta station is to be a caring hero, model and mentor to students. To teach values. 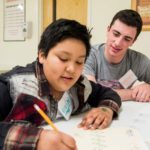 To make an impact on people’s lives and getting to know the story – the student – behind the pasta bowl. That’s what the HPU family is all about. It’s 3:30 on a Tuesday afternoon in the Café; the lunch rush is over. Norton takes a deep breath and begins prepping for dinner. “Sometimes it is hard, just trying to speak to everybody,” she says. “When it’s a long line, and I have three pots going, trying to talk to each person, and not get burned. That’s the challenging part. “But I love my job. I’ve been here for a long time. And I wouldn’t leave unless they kicked me out,” she laughs. Norton’s constant care and attention to detail make a huge impact on students like Hess.